Trevor has been a consultant since 1984. He started his working life in the Royal Navy as one of the first computer engineers in the early days of large ship-born computers. He liaised and worked with the design, installation and operations teams in order to install one of the very first computer systems used by the Royal Navy. This enabled Trevor to enhance his communication and management skills to successfully integrate IT and computers into the Royal Navy. After this Trevor was promoted to become a key player in what was to be the Royal Navy’s first computer engineering training school. He was tasked with designing, developing and delivering the early engineering training programmes for officers and senior rating which still provide the basis for the Royal Navy’s computer training today. Trevor then joined EMI Medical as Customer Services Director for a new international technical training school which trained all hospital IT engineers. Trevor went on to hold several other senior management roles in EMI Medical and later General Electric (USA) Medical Systems which gave him the experience and skills which make him such successful coach now. While working at GE Trevor become involved in management development and set up the first internal management development department to support all GE’s international businesses. He designed and developed extensive programmes that supported the growth of GE worldwide. 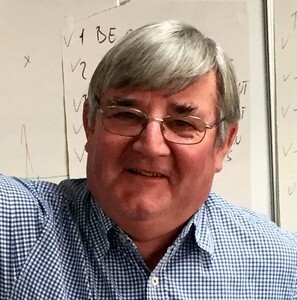 After several years with GE Trevor joined ICL a newly formed UK computer company where he was responsible for working with senior managers to develop The ICL Way a programme that trained managers to lead and manage in the ICL way which lead to ICL becoming hugely successful. His job at ICL led naturally into a more commercial environment and in 1984 Trevor joined WW Consulting International and worked with companies such as Kraft Foods, Bass Breweries, Parker Hannifin and Glaxo Pharmaceuticals. It was whilst with WW Consulting that he realised the power of coaching and the significant difference it makes to individuals and organisations. This led to Trevor becoming an independent consultant and associate of Opsis Consulting and &Coaching specialist management and organisational development companies. Trevor now leads intensive workshops with management teams and works extensively with individuals to ensure they achieve their full potential and ambitions.